8" Diamond Shears for glassworking - This age old design is now available in a size geared to flame working. The blades of theese shears are each shaped with a large "V" cutting area which can cut up to 1" in diameter. 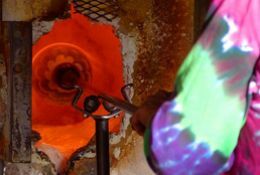 Upon closing the shears on the hot glass, they form a square or diamond shape around the glass. 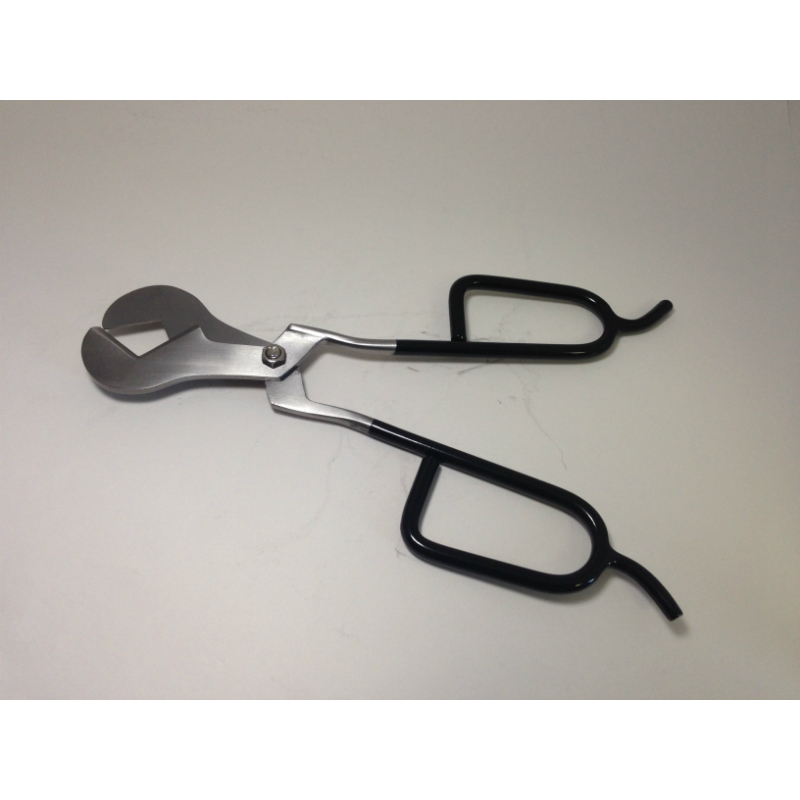 These shears can be used to either form or cut through the hot, pilable glass.